Ralph Savelsberg is always in his element when it comes to building models of vehicles. This one may be one of my favorite cars he has ever done, simply because it just turned out so perfectly! 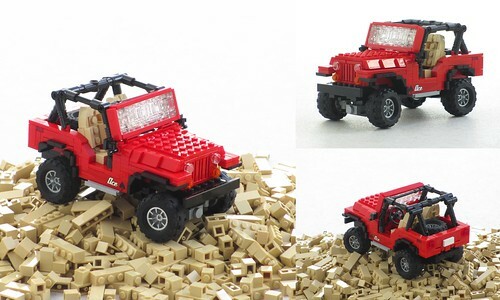 It hardly appears to be LEGO, except the studs on the hood that give it away. I'd really like to see more off-road vehicles like this in the future! My only question is...does it have cup holders?